Is your car paid off? Bad credit? Past Bankruptcy? No problem. What is important is the value of your car or truck and your ability to repay your loan. That is the concept behind our Car Title Loans here at Title Loans Orange County. In about 30 minutes you can borrow the money you need based on the value of your car or truck, NOT ON YOUR CREDIT SCORE, and you get to keep your vehicle to drive! Sound simple? It is. 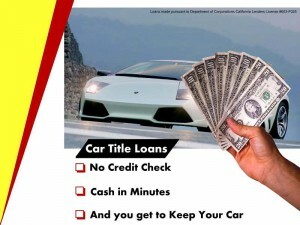 So if you are searching for a car title loans near me, or car title loans Costa Mesa, you have come to the right place. Searching for “car title loans near me”? Apply online for a quick cash pink slip auto equity loan. A car title loans will allow you to drive away with cash today and still keep your vehicle! If your vehicle is paid off or almost paid off, you may be eligible for a car title loan. By using your vehicle as collateral, you can borrow from $2,510 in cash quickly. Best of all, you keep the vehicle! Vehicle value must exceed a minimum of $2,800 on Kelley Blue Book. When you have an urgent need for cash, get a Pink Slip Loan (also called a car title loans or auto title loans). You can borrow $2,510 or more in less than an hour using your car as collateral. The maximum loan amount varies depending on the age of the car, make and model, mileage and condition, and current resale values. We were one of the original pioneers of the car title loans product in California and have developed a business model process that can quickly and easily get you funded on the spot quicker than almost all of our friendly competitors like 800loanmart or Trading financial. We fund your car loan on the spot unlike other competitors who have to mail you a check. Not sure if you qualify for a car title loans? Call us at (949) 566-8170 and we’ll answer all of your questions. Or, check out our Frequently Asked Questions for more information. The process is easy. Just fill out an application and bring the necessary paperwork and in no time at all, you can drive away with thousands! If you are looking for a quick and easy, no hassle title loans store in Orange County call Title Loans Orange County today. You can borrow $1,000’s on your car or truck in less than 1 hour. We pioneered the title loan product here in southern California over a decade ago so we are experts in this field. So if you have been searching for a bad credit loan, auto equity loans, car collateral loans or even personal loans, we can help. Since 1999, we have been helping Orange County consumers borrow immediate cash on their car or auto. Our auto loans range from $2600 to $25,000. The title loan is based primarily on the value of the vehicle. Some of our customers call for cash and ask for a title max. This usually means they are looking for the maximum cash loan amount on their title loans. We also offer title loans online right here through our website application. Just apply now and we can get your car loan processed fast and easy. We have two convenient title loan stores in Orange County to serve you. Our main title loan office is located at 15182 Goldenwest Street in Westminster. We also have a second store location at 23591 El Toro Road in Lake Forest, CA. Our car loans are set up as a 2-4 year installment loan where you make monthly payments you can afford where it is fully amortized. This means that after all payments are made, the loan is completely paid off. And, since there is no pre-payment penalty, you can pay the loan off at any time with no additional cost. Get your next title loans from Title Loans Orange County, just call 949-566-8170 today. Disclaimer: loan amounts may vary depending on market conditions, credit, condition, mileage, and other. Our title loans product is perfect for those people who have an immediate need for cash but do not have weeks to wait to get a traditional auto loan approved. Our title loans take only 1 hour to process and fund and you do not need perfect credit to get approved. We helped pioneer car title loans over a decade ago in Southern California. We know that customers are looking for quick, no hassle, respectable service and that is what we specialize in. If you have an immediate need for $2600 or more in cash, getting a loan against the title of your vehicle might be your best option. Call Title Loans Orange County today and we will give you an immediate quote on how much you can borrow and if your car qualifies. Call 949-566-8170 today. The equity in your car or truck is a valuable asset and you can use it to quickly and easily borrow against that value. While banks and other institutions are tightening their credit standards, we are not. We are eager to satisfy your cash needs and make you a loan you can afford. Our Long Beach title loans are much different than a traditional title loan in that they are fully amortized loans. This means that after you make the last installment loan payment, your loan is completely paid off. Traditional title loans are for 30 days or less and the loan is then due entirely. Our loans also have no pre-payment penalty which means that you can pay off the loan at any time with no additional cost or fee. We even offer an online title loans option for those who want to apply online. And, our auto title loans have much higher dollar amounts than typical personal loans in California. Whereas our loans are based primarily on the value of your car, personal loans are unsecured and typically require much higher credit scores. So if you are searching for title loans, or title loans in Orange County, or title loans in Costa Mesa, or even car title loans in Long Beach, California, call your friends here at 949-566-8170. Orange County is a county that is located in Southern California. Santa Ana is its county seat. The population of Orange County is about 3,010,759 which makes it second most populous county in all of California and the sixth most populous county in the entire US. Orange County has become famous for its tourism as home to worldwide attractions like DisneyLand. 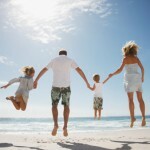 Title Loans Orange County wants to help you get the loan you need for the amount you want, and as quickly as possible. As a result, we have created the Gold Program* to not only help streamline the loan process, but also help us provide the most competitive APR rates, as low as 35.99% APR, to those that qualify. If you want to see if you qualify, simply fill out the form above or give us a call to begin speaking with a loan representative immediately. Repayment Period: Minimum of 24 months to a maximum of 48 months. We’ve been working with California residents since 1999 and will find a finance solution that best fits your needs. The application process is simple. * The Gold Program is subject to specific underwriting criteria and the ability to repay the loan. To qualify, customers must have a FICO score of 600 or greater. Principal amounts are $5,500 or based on state minimums. Other restrictions do apply and not applications may be approved.